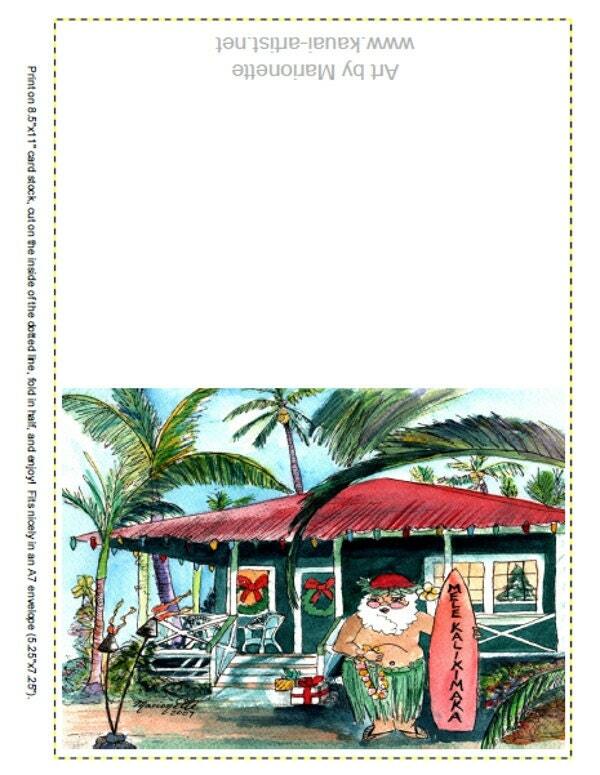 "Mele Kalikimaka" means "Merry Christmas" in Hawaiian. 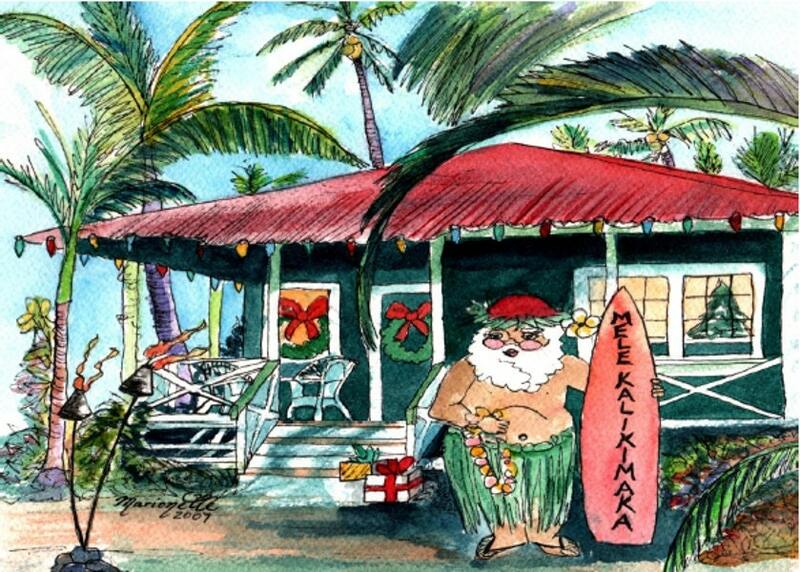 The artwork featured on this card is from an original watercolor painting titled "Mele Kalikimaka". So sorry, I forgot to send my feedback after Christmas--this card was so cute! My cousin loved it! It printed out perfectly, and I was very pleased! Easy download, easy transaction! Looking forward to new ones next Christmas. Everyone loved their card. Plan on getting some more prints in the future. Lovely work. Absolutely perfect! I appreciate the quick turnaround for my order!